Arthritis causes pain in the joints. There is little that can sooth this constant pain. There are two primary types of arthritis: osteoarthritis, which is a degenerative disease of the joints that advances with age, and rheumatoid arthritis, which is an inflammation of the joints that is not age related. Beyond medication, are there foods that can help (or hurt) arthritis? Turns out, there are! There are no large-scale clinical trials to indicate which foods to seek and which foods to avoid when suffering from arthritis. The only guidelines are pretty much anecdotal, old-wives tales and "common" knowledge. But, given the choice, why not try some of these pointers? 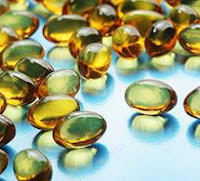 Omega-3 fatty acids are known to decrease inflammation. So, it makes sense the many people associate omega-3 intake with relief from arthritis. That means seeking out oily fish (think tuna, sardines and salmon) at least once a week. The heart benefits can be considered a bonus. Vitamin C, D and E seem to help, too. Try to fill your desert menu with citrus and throw some nuts into the mix. Spend 15 minutes out in the sunshine when you can, or drink vitamin D-enhanced low-fat milk when you can't. This will go a long way toward ensuring an adequate intake of these critical vitamins, without any pills whatsoever! There is even less science on the "foods to avoid" topic. Some people do report that eating potatoes, tomatoes and eggplant can make their arthritis worse. Others swear that high-fat foods (especially dairy) make them ache. So what can you do if you suffer from arthritis? Your doctor can probably help the situation quite a bit through medication. Untreated, arthritis can cripple. With the right medication, some care in your diet and a bit of weight control, arthritis does not have to define your life!